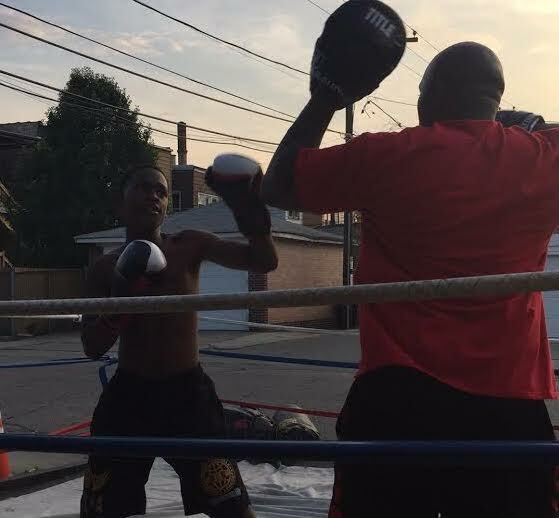 Boxing Out Negativity had a summer filled with special events: We hosted “Gloves Not Guns” for the 4th of July, a North Lawndale Bike Ride for Peace, and a back-to-school giveaway. We held boxing expos at the Farragut Reunion, National Night Out with the 10th Police District, several Light in the Night events, and more. While we were excited to work with so many partners and host so many community events, the youth were putting in hard work behind the scenes – sometimes training four or more days a week, for hours on end, in the heat and humidity of summer. This coming season, their hard work will be put to the test with competitions through the Chicago park district and elsewhere, beginning with an event at Davis Square Park (4430 S. Marshfield Ave.) at 6:30pm on Thursday, Sept. 20th. We’re ready for the new season! Stay tuned for additional events and a possible end-of-year celebration, details to be announced. Join Us for a “Sweat for a Cause” Fundraiser!